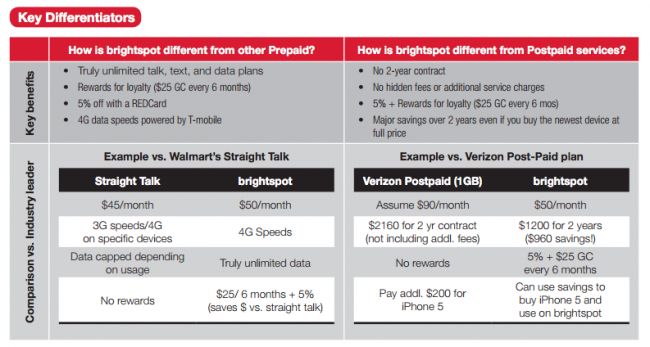 This weekend, Target will introduce a new prepaid wireless service called Brightspot. The prepaid service will use T-Mobile’s nationwide 4G network (LTE as well), provides customers with 3 different affordable plans, rewards customers with $25 gift cards for continued service, and allows you to bring your own unlocked GSM device or choose from one of many they will have on hand. The rest of the details can be found below. The plans start at $35 for unlimited talk and text without an ounce of data. If you want to use a smartphone and gobble up GBs of data, you’ll have to go for either the $50 or $65 plans. The $50 plan gives you unlimited talk and text, but only 1GB of 4G (LTE) data. If you continue to use data after you have hit your limit, you will be throttled down to 2G speeds for the remainder of your 30-day billing cycle. The $65 plan gives you 4GB of 4G (LTE ) data before throttling you down to 2G speeds. 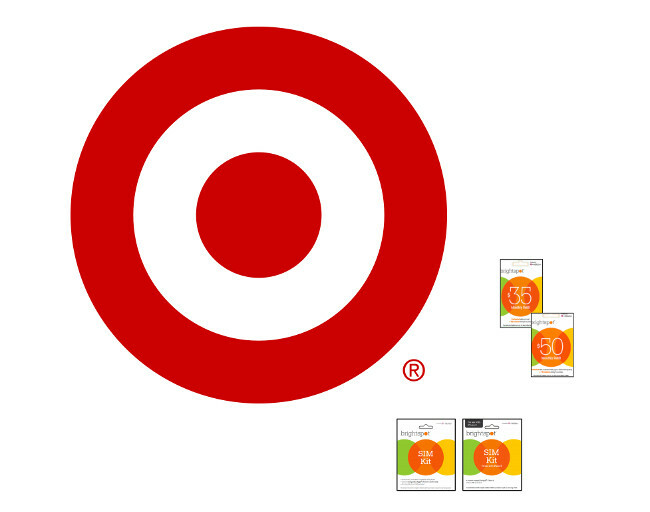 Service can be started by purchasing a SIM kit at Target stores or Target.com/Brightspot. Once you have service, you can refill your plan at either of those two locations or by dialing *233 (*ADD). Both $35 and $50 SIM kits will be available in stores, however, the $65 SIM kit is only available online. SIM kits come as either nano-SIM or micro-SIM kits. If you sign-up and use Brightspot service for at least 6 months, Target will reward you with $25 gift cards that can be used in Target stores. As long as you continue on with service, the gift cards will continue to arrive every 6 months. You can also sign-up to be a part of Target’s monthly coupon program. We’ve been told that Brightspot will go live on October 6. How is Brightspot different than other prepaid services?